IkamvaYouth was founded in 2003 by Joy Olivier and Makhosi Gogwana, who travelled very different paths to get to the same job, as researchers at the HSRC. Joy went to a privileged school in Pietermaritzburg, KZN, and Makhosi went to a township school in Khayelitsha, WC. In conducting research on the education crisis, they compared their experiences and realised that many of the obstacles learners face are due to lack of information and support. As information and support can be given free of charge, and the principal at Makhosi’s old school was receptive; Makhosi, Joy and their friends began volunteering as tutors and mentors, with a desire to support learners to reach their fullest potential. 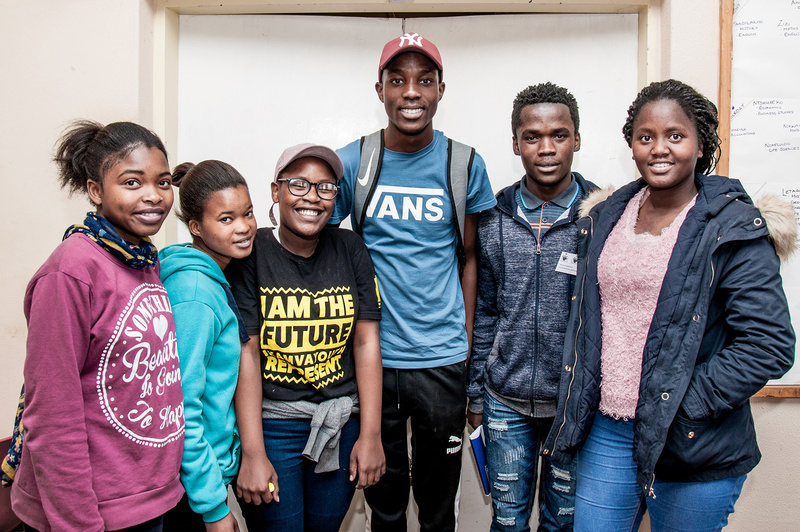 IkamvaYouth provides a safe space for learners to be after class ends, where they receive help with their homework and a host of other services and support to ensure they succeed. Since our humble beginnings, we have grown from one branch to more than fifteen and support over 5,000 learners per year through our various programmes.